If you look to the right of the above photo you can see the 7 that I have pieced together. 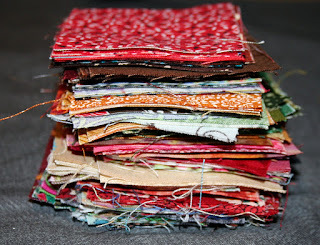 I love the colour and character in a charm quilt, but I have been getting a little nervous that it will be too much for me. To help with this, I have been toying with the idea of adding a pattern hidden in all of the charm goodness. 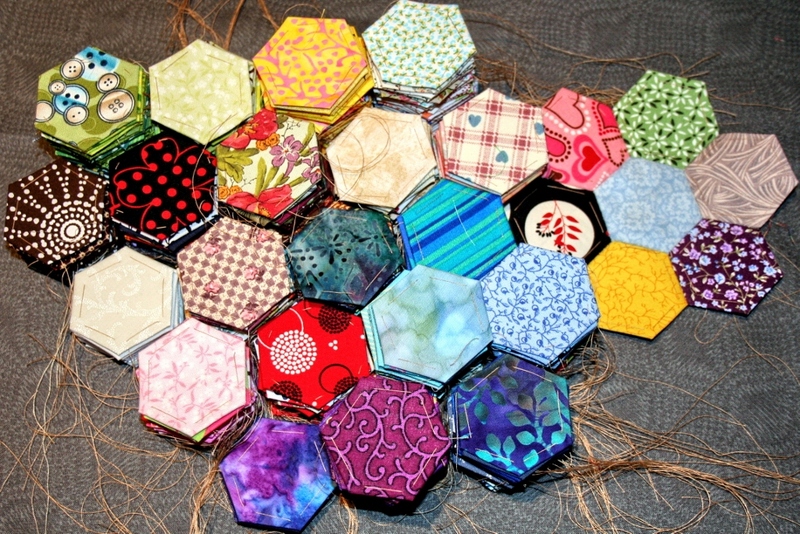 For the pattern I will use one fabric and repeat it on a few hexies. The fabric will also be used for my binding. 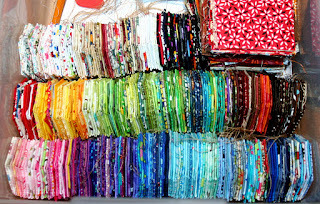 The grey fabric that all the hexies are on in the above photograph is the fabric I am thinking of using. It should go nicely in my bedroom, or anywhere really, I love grey. 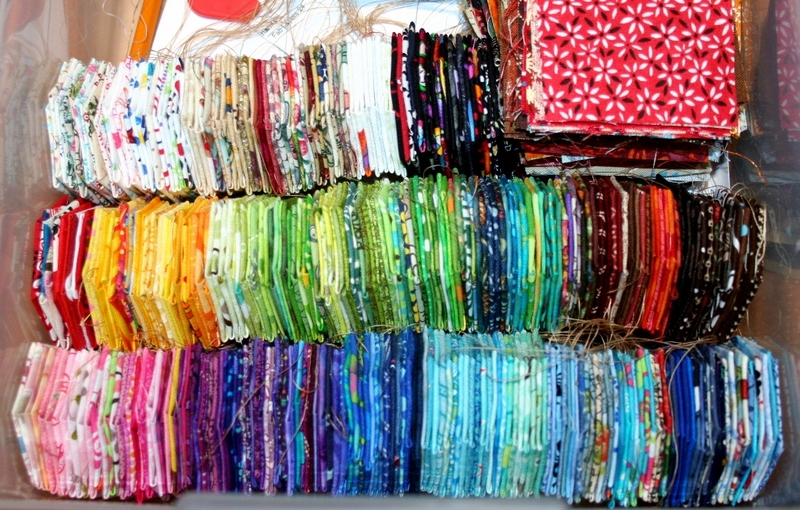 Coincidentally, one of the 2.5” squares I received from someone is the same fabric. I had to do a double take and make sure that I had not already cut into mine. 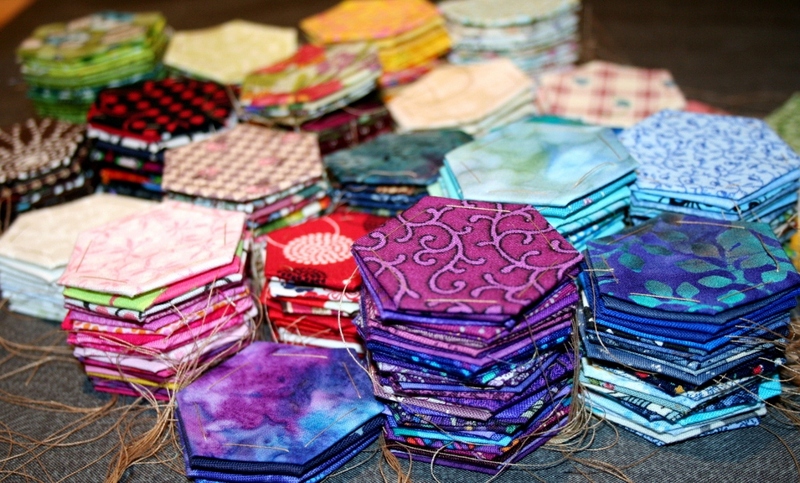 Here are the rest of my 2.5" squares. I don't know how many there are, I will find out soon I am sure. I also have more in my cupboards to add.